There is ample evidence of "Man's Inhumanity to Man. "Horrors--war, torture, starvation, trafficking, slavery, mass migration, exploitation, poverty, homelessness, bullying, sexual abuse--fill the headlines. The awful litany confirms our cynicism and numbs our senses. Far from things getting better, they seem to be getting worse. It's easy to make the case that Homo Sapiens is a flawed creature: destructive, predatory, irredeemable. Yet we all know someone who has done something that belies this harsh appraisal. Someone who gives instead of takes, who includes rather than excludes, whose every instinct is to affirm the worthiness of others--their inherent dignity. What if this response were to become universal? What if no one were left out? What if dignity became the norm? The reason this looks unlikely is that we assume human nature is fixed, that the way we've been predicts the way we shall forever be. Along with many other species, predation has indeed been Man's survival strategy. Our prey include other humans as well as animals. Early Man realized that enslavement paid dividends. Why kill someone when their labor could enrich you? In the last few centuries, the face of slavery has morphed from ball-and-chain coercion to the indirect exploitation of wage slavery: miss a single paycheck and face life on the street. When we do protect the dignity of others, it has often been so as to more effectively exploit, or make war upon, those who don't share our religion (or nationality, ideology, etc). That is, we embrace dignity for those in our "tribe," but demean and dehumanize non-members. Why do we sense that something's wrong when we witness an abrogation of dignity? How long can we ignore the tiny voice--we call it our conscience--whispering that dignity is universal and sacrosanct? At the heart of every religion there lies a promise of dignity for all believers. Religion intuited this truth of truths millennia ago and has persuaded most people to at least give it lip-service. Despite indefensible lapses, Religion has harbored, and been sustained by, the profound realization that no one is unworthy of dignity. Is this noble ideal on its way to being universally upheld, or will it forever be compromised? The denial of dignity engenders enmity, limits creativity, and taxes productivity. 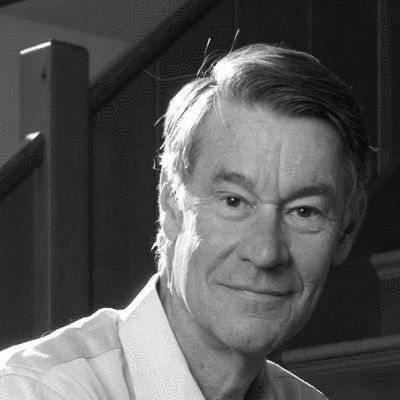 Though exploitation can yield predators a windfall, there's an ineluctable statistical evolution away from the predatory practices of the past and towards groups and societies that affirm and expand dignity. It's now becoming clear that, over time, indignity pays worse dividends than dignity. A culture of indignity leaves disgruntled, alienated saboteurs in place, and, as soon as the power balance favors them, they demand liberty, equality, and dignity--often in ways that do great injury to those they hold responsible for their oppression. So long as survival depended on out-competing rivals for scarce necessities, humans excluded some from the Brotherhood of Man so they could prey on them without a bad conscience. Access to power has widened. Advances in the instruments of mass destruction and mass disruption have given the marginalized enough power to ruin everyone's life. Humankind is in the late stage of an epochal transition. Human nature is not written in stone. Rather, the horrors we see around us are the residue of a predatory survival strategy that we are abandoning as the power differential upon which that strategy depends narrows. We've known the answer for a long time, but only now are we being forced to accept it: we can now--for the first time in human history--consciously and systematically operationalize universal dignity--and its corollary, the Golden Rule--by making them cornerstones of dignitarian institutions and a dignitarian world. With the imminence of game-changers like climate change, nuclear proliferation, and super artificial intelligence, humankind probably has, at most, a century to complete the transition from a predatory to a dignitarian survival strategy. As we adopt dignitarian principles--in education, business, healthcare, and at all levels of governance--we'll be letting go of a survival strategy that, while it has taken us this far, can take us no further. 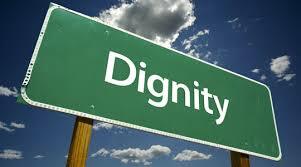 Dignity is your right. It's also everyone else's. Defend others' dignity as if it were your own. Dignity is the steppingstone from Liberty to Justice. Building a dignitarian society is democracy's next step. Rankism is abuse of the power inherent in rank. What people want is dignity. Rankism is a source of indignity. To secure dignity, disallow rankism. We don't have to put up with rankism any more than women must put up with sexism, minorities with racism, gays with homophobia, etc. No society that rations dignity can reach its full potential because threats to dignity inhibit creativity and tax productivity. Humiliation and indignity are as dangerous as uranium and plutonium. The only thing as important as how we treat the Earth is how we treat each other.